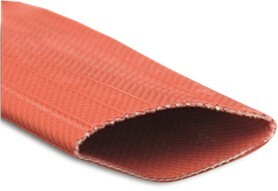 the multi-layer design, made of an exclusive woven fiber and a double core layer, ensures that tricoflex is highly flexible for easy handling, with excellent resistance to repeated bending, crushing and pulling as well as minor deformation under pressure. 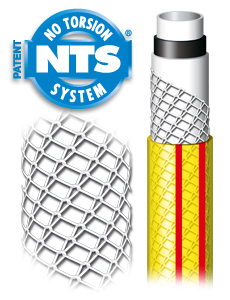 in addition, the lining is extremely smooth, thereby maintaining even flow. 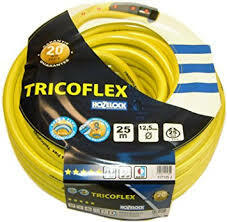 especially thick and made of high quality materials, tricoflex offers remarkable aging resistance with exceptional preservation of flexibility. 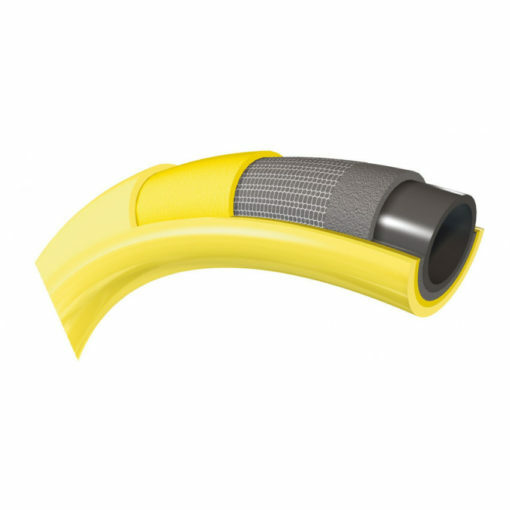 its exterior yellow pvc covering gives it good protection against abrasion and uv. construction sites and road works. 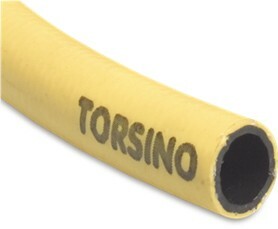 Standard yellow PVC braided watering hose. Barium and cadmium free. 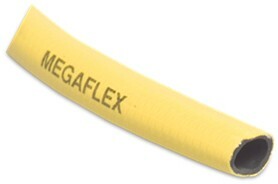 Megaflex: PVC Garden Watering Hose 6-8 Bar. 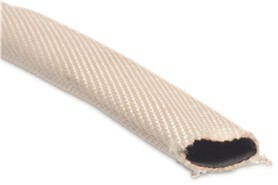 Spiral Reinforced Green Meduim Suction Hose. Spiral Reinforced Suction Hose. 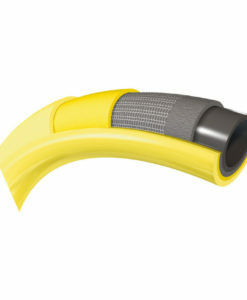 Ideal for water or waste suction or delivery.